A dentist who seeks out advanced dentistry is eager to stay abreast of changes in the field and to incorporate these changes into the dental practice. At Divind Dental Solutions we provide the latest techniques and technologies, many of which aim to make dental care quicker and less painful. You save time and enjoy the convenience of having all of your dental care needs met by one dentist instead of having to seek out specialty care from one or more additional dentists. If you have a missing tooth, you might not feel like smiling. But you don't have to live with an embarrassing gap between your teeth if you don't want to. 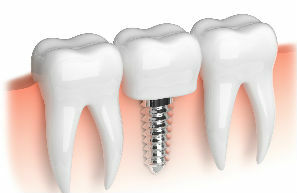 Plenty of options exist to replace a missing tooth. That's good to know because a missing tooth doesn't just leave a hole in your smile -- it may also affect how you speak and chew. And if a missing tooth isn't replaced, the teeth around it begin to move. Shifting teeth create new crevices for dental plaque to hide in, which can lead to tooth decay and the need for a tooth filling or gum disease treatment down the road. Unfortunately, gums affected by periodontal disease don't reattach to teeth on their own. When pockets develop, gum surgery is often necessary to correct the problem. A gingivectomy is a surgical gum disease treatment used to remove diseased gum tissue, helping to reduce pockets and slow down the progression of gum disease. Prior to the gingivectomy procedure, scaling and root planing is often used to remove bacteria and tartar from below the gum line. The gingivectomy procedure itself typically requires just local anesthesia to numb your gums. Depending on how much tissue needs to be removed, the gingivectomy procedure can take anywhere from a few minutes to an hour. Oral maxillofacial surgery is a broad term that covers a variety of such procedures for your teeth, jaw and face. When you hear the word "surgery," you may automatically imagine a complicated procedure, but oral and maxillofacial surgery refers to a wide range of treatments -- everything from a simple tooth extraction to dental implants. 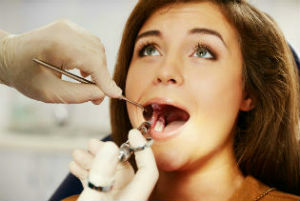 Oral surgery wisdom teeth is probably the most well-known type of dental surgery. When third molars, or wisdom teeth, come in sideways, are too large, become misaligned or may cause damage to surrounding teeth, one or all four may be extracted. If oral surgery is recommended for your wisdom teeth, be sure to discuss your sedation options with us so you'll be as comfortable as possible. Talk to Dr. Ly about any condition that may relate to you teeth and mouth, including oral surgery wisdom teeth. There are also possible oral surgery procedures for sleep apnea, TMD, facial injuries and cosmetic preferences as well as any pain or discomfort you may be feeling.